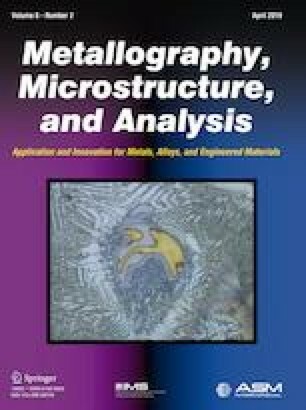 The effects of different deformation percentages on the microstructure and mechanical properties of Cu–Al–Ni–xTi shape memory alloys (SMAs) were investigated. The experimental results demonstrated that the mechanical properties varied in accordance with the parent and precipitate phase formations, morphologies, and orientations. Furthermore, an increase in deformation can cause an effect on the density and movement of dislocations and thus influences the functional properties of the shape memory features. The results revealed that applied deformations of 2% and 4% on Cu–Al–Ni–0.5 wt% Ti SMAs attained the highest fracture and recovery strains by the shape memory effect, respectively. It can be also concluded that the significant features of shape memory alloys are susceptible to changes of the dislocation density and movements with respect to deformation and also depend mainly on the Ti concentration of the matrix, which can be modified via the formation and volume fraction of x-phase precipitates. The authors would like to thank the Ministry of Higher Education of Malaysia and Universiti Teknologi Malaysia for providing the financial support under the University Research Grant No. Q.J130000.3024.00M57 and research facilities.